Over two decades ago when I began my involvement with marketing on a full-time basis, one of the many aspects I learned about was color. Of course, having had a paint and body restoration business before that, gave me an insight into colors and how people are attracted to and affected by them. 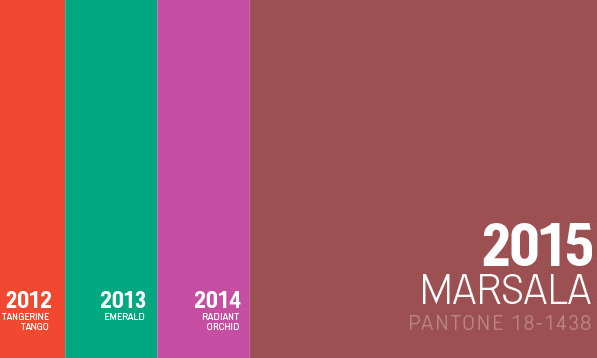 For the last dozen years or so, I’ve been intrigued by ‘Colors of the Year’ such as Pantone comes up with. Last year was Radiant Orchid which is most closely described as violet. Manufacturers of clothes along with designers and other consumer-driven companies use the color to help guide them as to what may or may not work currently for the public. More well known as a cooking wine, Marsala is a fortified wine that is not unlike Port. The color has a dark tone which is where 2015 Color of the Year is derived from. Which brings us to the 2015 Color of the Year: Marsala. For those of you who are familiar with wines, might recognize the name as the deep rich fortified wine from Italy, or more specifically Sicily. And indeed, that is where the name came from for this color which would otherwise be described as a dark ruby red, deep cardinal or maroon. Here in Paso Robles, we might call the color a crimson red (after the high school‘s color), but Pantone chose a very dark color that is more like a red brown. By the way, cooks know Marsala as a cooking wine – you’ve probably heard of Chicken Marsala. Yet, not everyone is excited about the somewhat demure color. Some have stated that the color is old-fashion or pigeonholed as strictly a fall color. I learned in the automotive business, that not every color looks good for all applications. Examples of the Marsala color with gowns. Still, Marsala reminds me of our own burgundy color option used for bands on Decorative Whole Barrels or half Planter Barrels and remains one of the favorite colors chosen by our customers. Go here to put chose your favorite color. This entry was posted in Events, Wine and tagged Color of the year, Marsala, Pantone on December 29, 2014 by PasoDr. Hope everyone is having a fine holiday season. Saw this quote the other day and it captured what I was thinking. Here in wine country, we’re having our first temperatures in the 20’s after such a mild – if a bit wet – November and December. Enjoy the rest of 2014 and here’s to a great new year for all concerned. This entry was posted in Events and tagged new year on December 27, 2014 by PasoDr. A quick and simple note from Paso Robles, California. This time of year is magical with Christmas and New Years doubling up as an incredible one-two punch to end every year. We’ve had a great 2014 at Paso Wine Barrels and appreciate all of those who have followed us and/or helped us grow. To be honest, we had quite a few highs and lows this year, but business-wise, it was notable to say the least. We have much more to learn and hope that we can offer everyone additional information and products that will be fun and entertaining while being functional too. So from the Hier family and the Central Coast, we wish everyone a wonderful end to the year and may you have a blessed season. 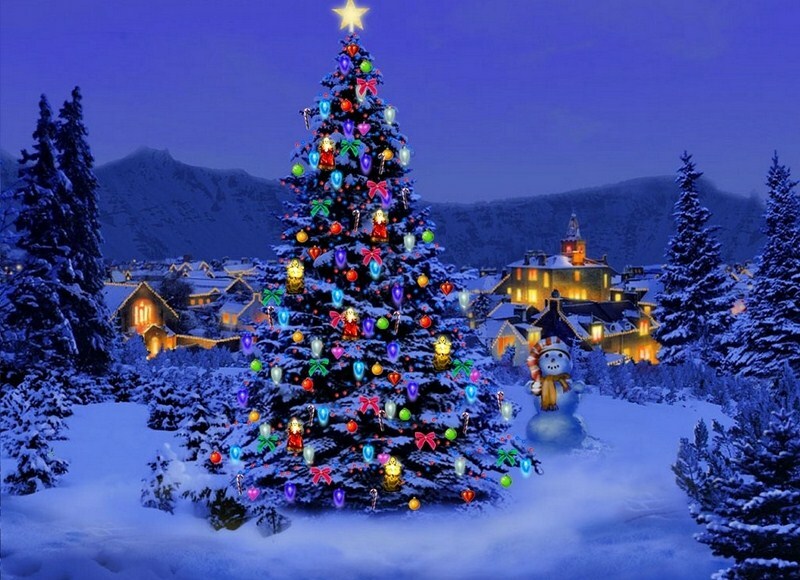 As they say in Hawaiian: Mele Kalikimaka and Hauoli Makahiki Hou – Merry Christmas and Happy New Year. This entry was posted in Events and tagged Happy New Year, Merry Christmas on December 24, 2014 by PasoDr. My father would appreciate that quote more than most, given his affinity for summer. I too am a big fan of hot weather – which brings me to my thought: Winter is different. 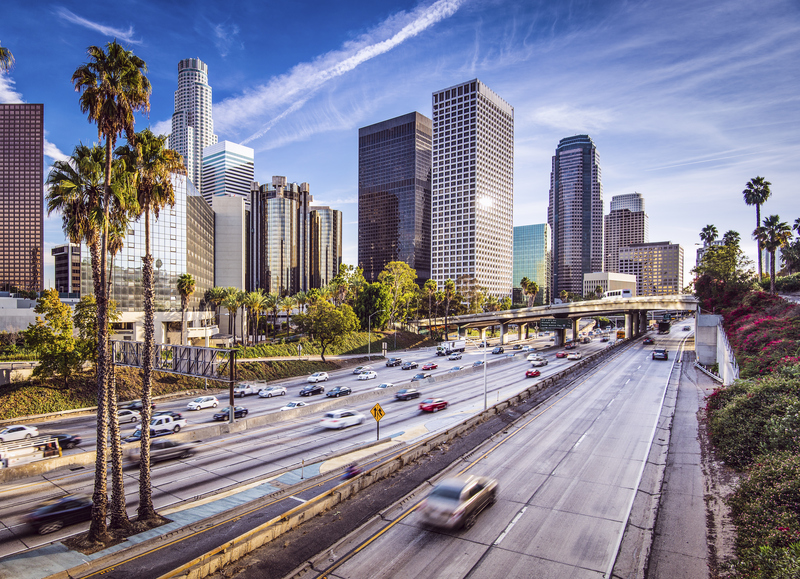 What I mean is for all the differences between Southern and Central California – especially the Central Coast, the weather, particularly in winter, is different than Greater Los Angeles and vicinity … in other words it’s colder. I lived most of my life in the L.A. area, having been born and raised in Venice and then living in an assorted amount of places from Ventura County to Orange County. Except for San Diego, the temperature and weather in these places is one of the more mild climes anyone can be a part of. When I moved to Paso Robles almost a decade ago, I knew there were dissimilarities in climates, but for the most part, there wouldn’t be much difference. And essentially that’s true in the summer half of the year, although the diurnal takes some getting used to. Still, the cold temperatures in Paso Robles compared with L.A. are quite distinct. Daytime Winter temps in a clear and sunny Paso might not make it much above 40. That’s unheard of in Los Angeles where a clear cool day is always in the 60s. The San Fernando Valley in L.A. can dip into the 20s, but not regularly. On the Central Coast in wine country, we can have low temperatures in the teens. It wasn’t that many years ago that Paso had an 11 degree morning. It used to snow occasionally here in wine country, but the past decade hasn’t seen the white stuff. A frosty evening isn’t unusual in Paso Robles, such as last weekends Vine Street block party. It was in the 40s in the early evening – but it didn’t deter tens of thousands from coming out on a crisp night. We have a poll from last year that asked what season in Paso Robles was their favorite and most said either Fall or Winter, which surprised me a bit. Fall colors are amazing here in wine country and the weather is somewhat mild compared to the extremes of Summer and Winter, so that makes some sense. However, Winter can be cold and wet – two things that aren’t attractive to me. Yet folks approve of cooler conditions than the warmth of Summer. I know, people from most of the rest of the United States and Canada will scoff at these weather comparisons. Nevertheless, when you take a Venice guy out of his moderate elements and place him in more drastic – and in this case colder temperatures – it makes an impression and causes me to expound on it. 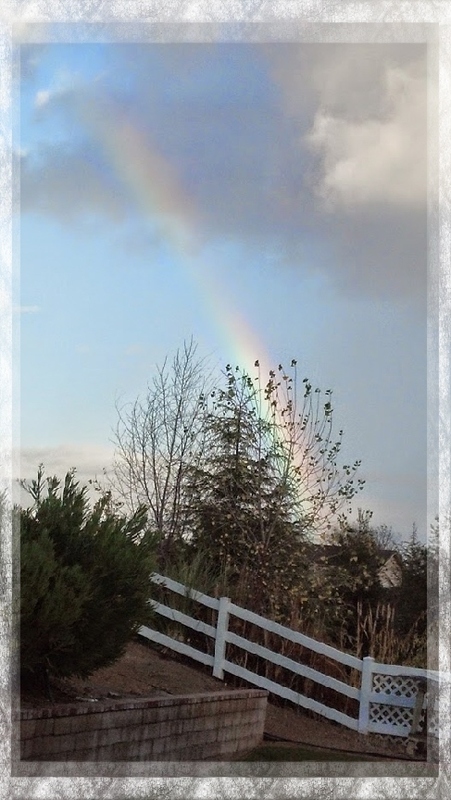 Rainbows have been common this year in Paso as tropical moisture from an El Nino pattern has made the end of 2014 very wet. Ironically, with all that is said here, this year, we haven’t had a sub-freezing day; and yet we are only one week before Christmas Eve. The garden is still producing tomatoes when normally, it would have been closed down several weeks prior. Also, due to what appears to be an El Nino year, rain has been steady over the last month or so, which has kept temps moderated. We’ll see how Winter 2015 will react, but for now, I’m okay with the wet and relatively mild temperatures. This entry was posted in Central Coast, Weather and tagged L.A. weather, Paso Robles winter, winter, Winter Differences on December 17, 2014 by PasoDr. One of the better football teams to come out of Paso Robles High School in some time, has advance to California’s South Division Championship bowl game against El Capitan Vaqueros of Lakeside in San Diego County. Although wine dominates our region now, sports has always been a mainstay in the North County and the Paso Robles Bearcats have been a very good team almost forever. I’ve not talked about sports here because I wrote so much outside of Paso Wine Barrels’ blog. I freelanced for a handful of years and was a writer for Yahoo Sports!, becoming one of their top writers worldwide. However, the barrel business soon overrode my time and combined with many changes at Yahoo!, my sports writing diminished. So occasionally, I might throw some sports related stuff in here, but not to worry, it will be sporadic at best. Just enough to keep you informed of what’s going on here on the Central Coast sports-wise. As far as the the football squad, they won the Northern Division of the Southern Section in the California Interscholastic Federation (CIF) – CIF governs all 1,500 high schools regarding sports in the Golden State. Sounds like a lot of schools, huh. You have to remember there are roughly 40 million people living in California. By the way, Paso Robles is currently ranked 18th in the state. Anyway, the Bearcats rolled to a 13-1 record with their only loss to league rival Atascadero Greyhounds at the end of the regular season. Atascadero also had an excellent team this year and most years for that matter. The PAC 5 League that Paso and A-town are part of, is a powerhouse and ended with a tri-championship between the two aforementioned schools along with Arroyo Grande. All three made it to the division semifinals – the PAC 5 was that good. Paso Robles defeated a very strong and high-scoring machine of a team in the Newbury Park Panthers from Ventura County. The Northern Division Championship game was played on a muddy field due to rains that have been steadily on and off here on our parched and drought-stricken land for the last few weeks. Yes, good news, and something I’ll talk about in a later blog. In any case, the final score was a tight 13-10 slugfest with the Bearcats often using a stacked I formation – an obvious running style that dared the Panthers to stop the run. Bailey Gaither #34, ran up and down the field on Newbury Park to help the team win the Northern Division crown. The star was Bailey Gaither who ran for an impressive 180 yards even though he’s the team leading wide receiver. An extremely talented player who does everything better than anyone, he ran from the tailback position and helped win the game. As a note, Gaither was the county’s player of the year in baseball last spring. He will most likely be the player of the year in football for San Luis Obispo County as well. It was estimated that 5,000 fans were packed into War Memorial Stadium in less than ideal weather conditions. The game with El Capitan will be in San Diego so Paso Robles will have a six hour bus ride south to play the 13-0 Vaqueros. This is the first time a team from the Central Coast has participated in the state bowl program – and it has made the town proud. If the Bearcats win, they will play in the state championship against the North Division champion (between 14-0 Campolindo and 13-0 Sutter). There you have it, Paso Robles may have been this past seasons wine region of the year, but we also have a great football squad. Go Bearcats! This entry was posted in Central Coast, Events and tagged Bailey Gaither, California high school bowl, CIF football, El Capitan Vaqueros, high school football, Paso Robles Bearcats on December 8, 2014 by PasoDr.